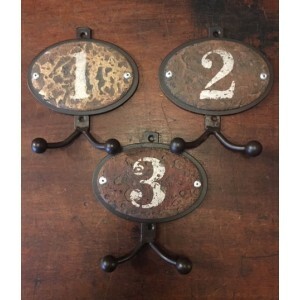 Set of three double hooks numbered 1.2 & 3. Each hook measures; Backplate 80 x 115mm, Overall depth 130mm, Width of double hook 85mm . All measurements are approximate. 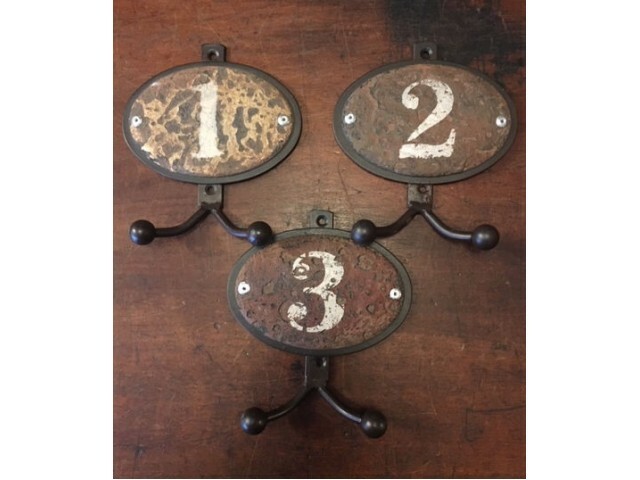 These hooks have a rustic paint finish; No1 is rust/whitish/yellow, No 2 is brown with a blue/grey tinge & No 3 has a redish brown finish. All are individually finished and will vary from the photograph..